Jaguar had stopped using the "Space, Grace and Pace" slogan by the time this car was built, but it certainly applied. This is the last Jaguar to have input from Sir William Lyons, the company's founder. It was, and still remains, an absolute masterpiece. 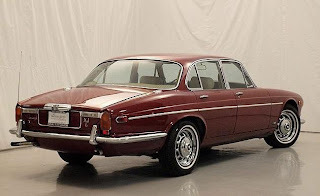 In 1968, when the XJ6 was introduced, you would have been hard pressed to find a better looking, better driving, luxury sedan. The XJ6's quality control and reliability problems have been well documented. The Series I is better than the Series II, but not as good as the Series III. At this point though, that's irrelevant. 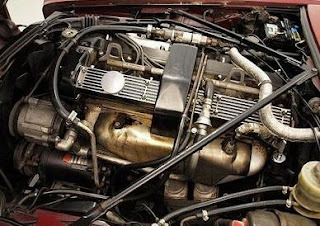 In the 42 years since this car was introduced, many of the problems have been solved by the owners or the aftermarket. Those that haven't, well, you'll just have to learn to live with them. 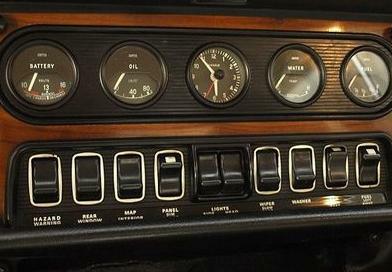 This is an absolutely gorgeous 72,000 mile car. Maroon is a great color on these cars. The interior looks close to perfect . The dash doesn't look cracked and I love the center mounted secondary gauges and toggles, which mimic the layout on the E-Type. This is another one of those cars that, if I bought it, I'd drive as often as a could and park it in my living room so I could stare at it the rest of the time. Located in Addison, IL, click here to see the eBay listing. Gorgeous. The wine color is the perfect color. Edgy yet classic. It's so weird that Jag then, was considered a rather modern car. My parents were in advertising in the late 60s and 70s and this was the car they all aspired to. Benzes were for stodgy doctors. A Jaguar meant you were successfully chic. Oh my... While this would look marvelous alongside the wife's 2000 XJ8 and my 1985 XJ6, I can't handle another Jag. These two are keeping me busy enough.